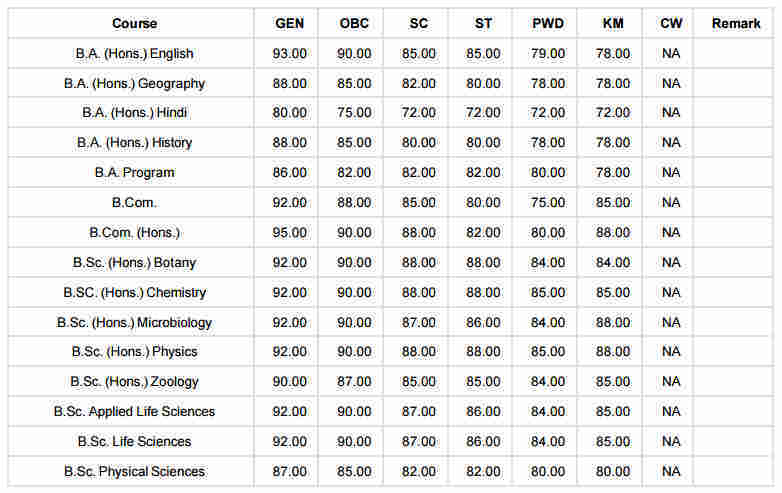 Home > Entranceexam > Swami Shraddhanand College Admission And Cut Off 2018 - Fifth Cut Off Released! 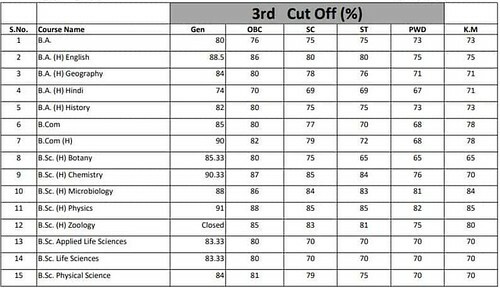 Swami Shraddhanand College admission and Cut Off 2018 - Fifth Cut Off Released! 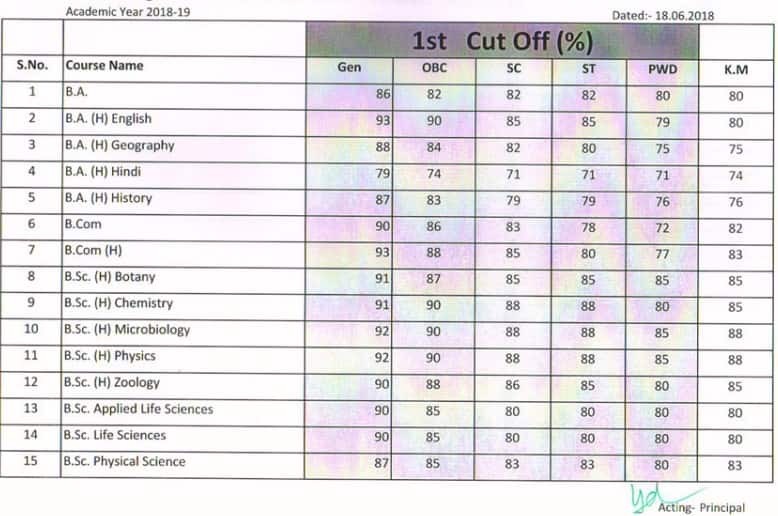 Swami Shradhanand College has released the fifth cut off on 11 July 2018. Swami Shraddhanand College is a constituent college of the University of Delhi located in North Delhi. 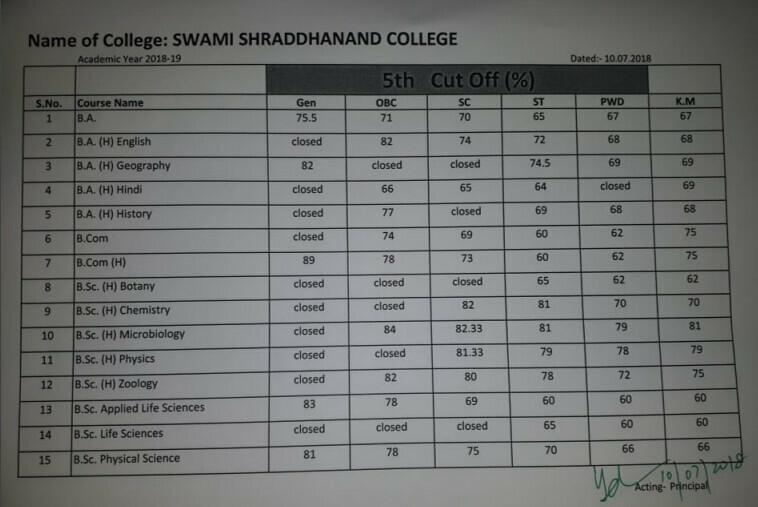 Swami Shraddhanand College admissions are done on the basis marks secured by the candidate in Class 12. The admission process has been started for all the eligible candidates who are willing to take admission in Swami Shraddhanand College. 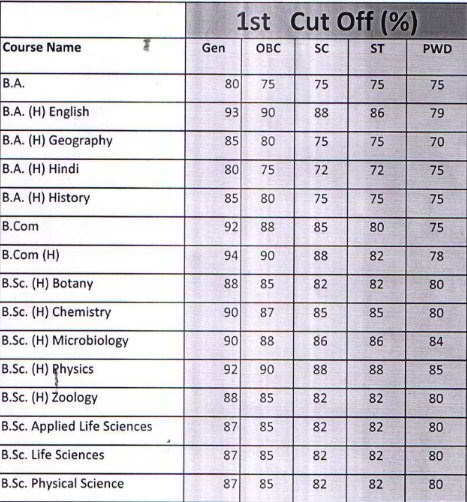 Candidates can also go through the Cut Off which indicates the minimum marks required to get admission in the college. It is to be noted that the candidates have to apply to the college through the centralised admission process of the Delhi University. 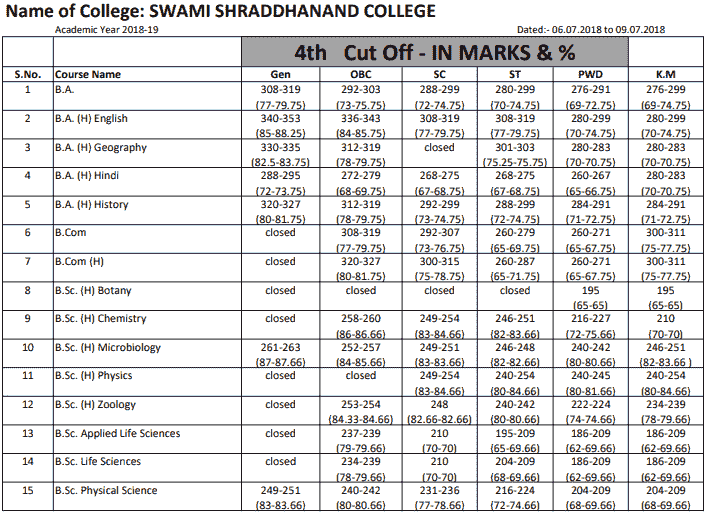 The details regarding the Swami Shraddhanand College admissions and the cut-off marks are given on this page below. Swami Shraddhanand College is named after a great social reformer, freedom fighter and religious leader of India - Swami Shraddhanand. The college was established in 1967 and run under the trusteeship of the Delhi Government. 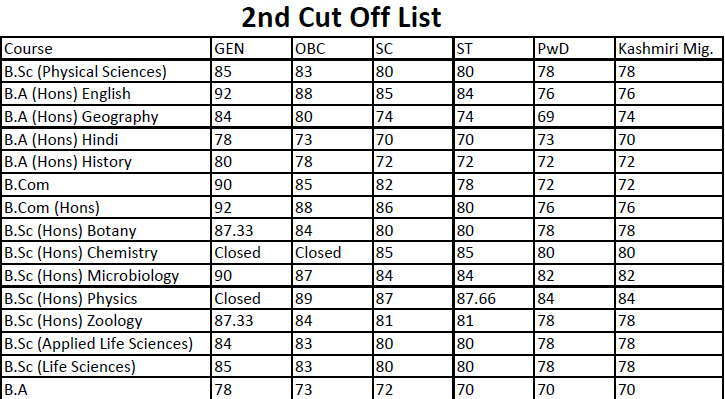 Latest Update: Swami Shradhanand College has released the fifth cut off on 11 July 2018. BA Hons in English, Geography, English, and History. The Delhi University invites the application for the colleges affiliated with the University. The annual fee for Swami Shraddhanand College is now available as per the category of the candidate. The candidates can get the complete list of annual course fee payable for different programmes. The annual fee for each programme offered in the Swami Shraddhanand is given below in INR. The candidates can go through the table below.